If your small business grapples with cash flow gaps, like when customers take their sweet time paying their bills, BlueVine offers two types of financing to address short-term needs. Need cash fast: You can get approved for a line of credit in as little as 12 hours. For invoice factoring, once you’re approved you’ll have access to funds within 24 hours. Have B2B customers who don’t pay promptly: If your customers are other businesses or organizations who don’t pay their invoices right away, invoice factoring can help fill your cash gap. 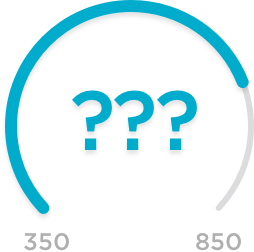 Don’t meet the credit requirements with other lenders: BlueVine will consider lending to you even if your personal credit score is below 600. Before you apply for a BlueVine line of credit, find out whether you meet the lender's minimum qualifications. Before you apply for BlueVine invoice factoring, find out whether you meet the lender's minimum qualifications. The application process is quick. It takes an average of 12 hours to be approved for a BlueVine line of credit and a few minutes to a day for an invoice factoring account. Once you’re approved, you’ll have access to funds within 24 hours. If your customers are other businesses or organizations, they may not always pay you promptly. BlueVine’s invoice factoring, also known as invoice financing or accounts receivable financing, could ease cash flow hiccups caused by such delays. Here’s how BlueVine invoice factoring works: You get paid on day one for invoices due in one to 13 weeks. BlueVine will advance you 85% to 95% of an invoice amount and then the rest of the sum when a customer pays you, minus fees. Poor credit can be an obstacle to obtaining a line of credit or any form of financing for your small business, but not with BlueVine. The lender considers you a potential customer even if your credit score is below 600. BlueVine focuses on your business’s cash flow and, if you’re applying for an invoice factoring account, on the creditworthiness of your customers. With annual percentage rates of up to 68%, BlueVine’s lines of credit and invoice factoring accounts are more expensive than many online term loans. This financing works as a short-term solution, such as making payroll while waiting on customers to pay you. BlueVine invoice factoring lets you tap unpaid invoices as a source of capital, but you must have reliable and reputable customers who have strong credit and diligently pay their bills. If a customer is late, BlueVine will give you an extra two weeks past the due date. If a customer fails to pay, you have to pay back the invoice. There’s a late fee of 3% after two weeks, although BlueVine could decide to waive it.